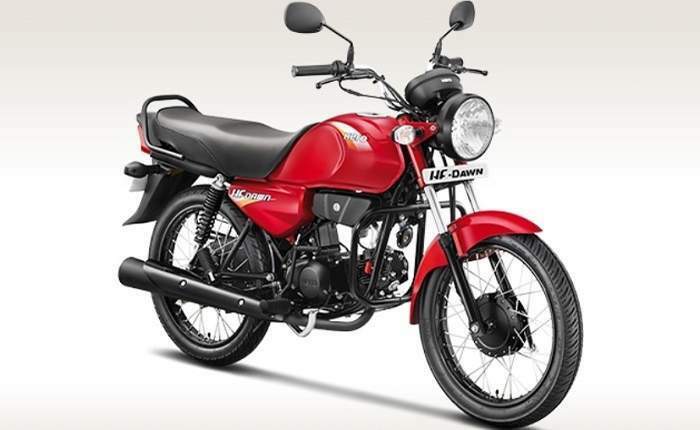 63+ User Votes to help you to find the Best Hero Bikes in India. 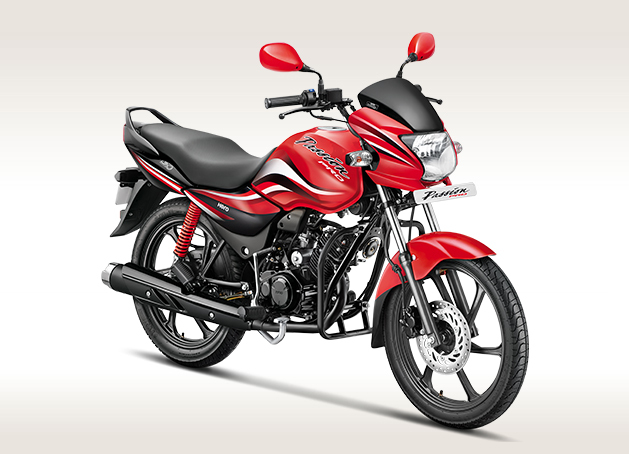 All About Hero Bikes ✓ Specification ✓ Price ✓ Mileage ✓ Color ✓ Features ✓ ABS ✓ Comparison. Hero Motor corp earlier known as Hero Honda. It is India biggest selling bike company. They first started in 1984 when Hero Cycles and Honda from Japan merged to form a company Hero Honda later on 2010 Honda moved out of the merger by selling 26% share to Hero so from that point on words the company is known as Hero MotorCorps. Which is your favorite Hero Bike? 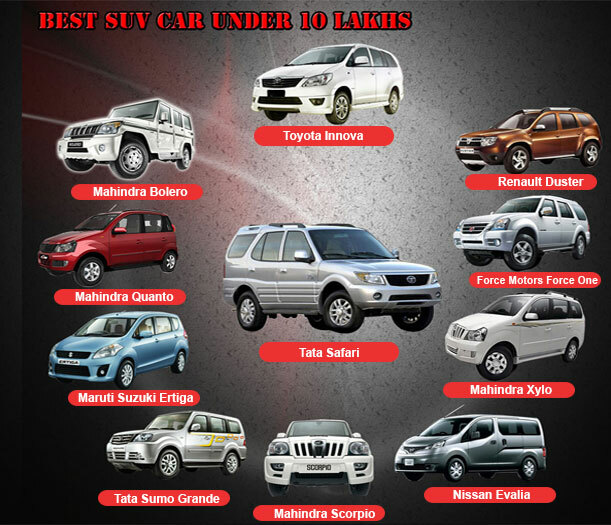 Hero Splendor Plus i3s – Hero Splendor Plus is basically known for relibility, resell value, mileage, maintenance, stylish alloy wheels and specially developed for Indian conditions. 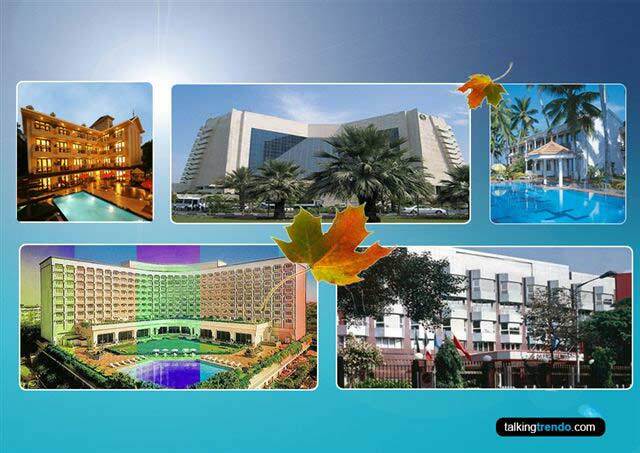 The Splendor is available in many different avatars, one of which is the Splendor Plus i3s. The new Splendor come with Hero's new i3s technology, which is a start/stop system that contributes to even more fuel saving. The bike is powered by the tried and tested 97cc air-cooled four-stroke single cylinder engine that produces 8.10 Bhp of power and 8.05 Nm of torque. The engine is mated to a four speed gearbox. The engine allows the Splendor Plus to offer decent performance and drivability. Hero Passion Pro i3s – Passion series of bikes from Hero is second in line in terms of bike sold in India after Splendor bikes. The new Passion Pro i3s come with stylish bodywork, a host of funky paint schemes and modern features with Hero’s i3s iSmart start-stop technology. Hero Passion Pro is powered by a 97.2cc, air cooled, 4-stroke, single cylinder OHC engine that churns out maximum power of 8.2 Bhp at 8000 rpm and maximum torque of 8.05 Nm at 5000 rpm. The engine is mated to a four-speed gearbox. The stylish bodywork and a host of funky paint schemes with modern features. Hero Passion Pro is a commuter motorcycle that carries a different design language from the boxy looks of its famous in India. 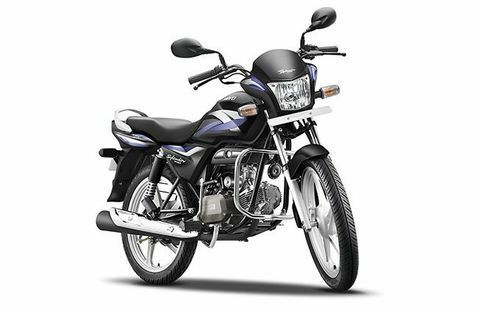 Hero Glamour – Glamour from Hero is a 125cc bike which follows the foot steps of Hero Bikes as which tends to on good sides when you talk about mileage. Glamour is the commuter bike but adds more value in the form of increased feature list and contemporary styling. The bike is powered by a 124.7 cc, air cooled, 4-stroke, single cylinder OHC engine that churns out 9 Bhp at 7000 rpm and peak torque of 10.35 Nm at 4000 rpm. The engine is mated to a four-speed gearbox. The bike come with styling tweaks include a large headlight cowl which includes a front cover for the instrument console, multi coloured body graphics, body coloured rear-view mirrors and a two-tone front mud guard. Hero Passion Pro 110 – Hero MotoCorp has lunched the new Passion Pro 110 in India. Hero has updated its Passion pro range of motorcycles with the modern 110cc engines. The new bike get Auto Headlamp On (AHO), a digital-analogue instrument console with a digital fuel gauge and side-stand indicator, odometer, speedometer and more. The new bike is powered by a 109.1 cc, air cooled, 4-stroke, single cylinder OHC engine that generate 9.4 Bhp of power and 9 Nm of torque. The engine is mated to a four-speed gearbox. The Passion Pro and Passion XPro also get the company's i3S start-stop system that is intended to improve the fuel efficiency on the commuter offerings. The new Pssion Pro 110 bikes continue to remain commuter offerings but get substantial upgrades for the new year including a power bump, new features and tweaked styling for a fresh appearance. 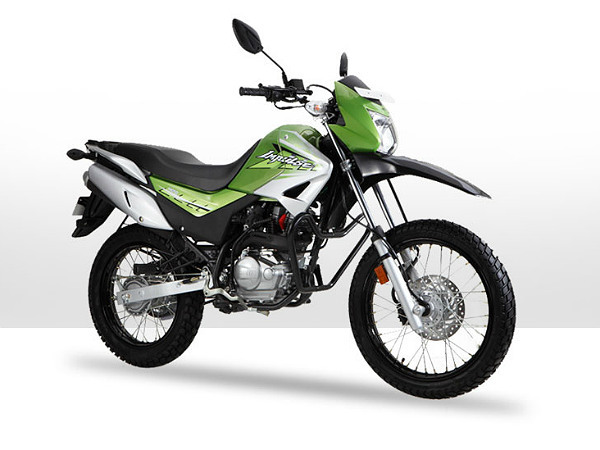 Hero HF Deluxe Eco – Hero HF Deluxe Eco is another entry level 100cc bike from Hero motor corp. The HF-Deluxe Eco is the more efficient version of the HF-Deluxe. The bike is priced above Deluxe and Dawn because company has promised that the bike is better on millage front from all the other because of its enhanced dynamics. It comes with the same 97.2 cc air cooled engine with four-stroke single-cylinder OHC and can produce 8.2 Bhp at 8000 rpm and 8.05 Nm of torque at 5000 rpm. This mill comes mated to a four-speed transmission. The bike come with new features on the HF-Deluxe Eco include an electric start, body graphics and a knee grip. 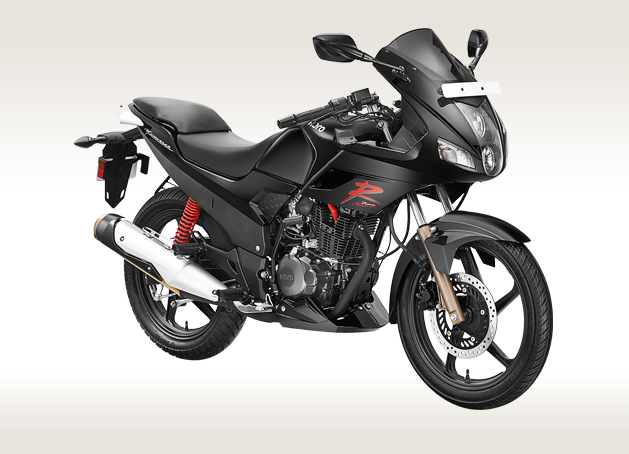 Hero Xtreme Sports – To attract young buyers Hero launched its Xtreme sports bike as it is visually more appealing to Xtreme bike. It has got some cosmetic upgrades like new headlamp unit, redesigned cowl near the fuel tank and one underneath the engine, splits seats better handles. 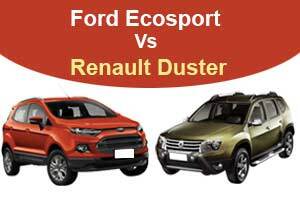 It uses the same Xtreme bike engine which produce 15.6 Bhp of power at 8500 rpm and 13.50 Nm of torque torque at 7000 rpm. The Xtreme Sports is a premium 150cc commuter motorcycle, targeted at young customers looking for a stylish yet efficient motorcycle for their daily commute. 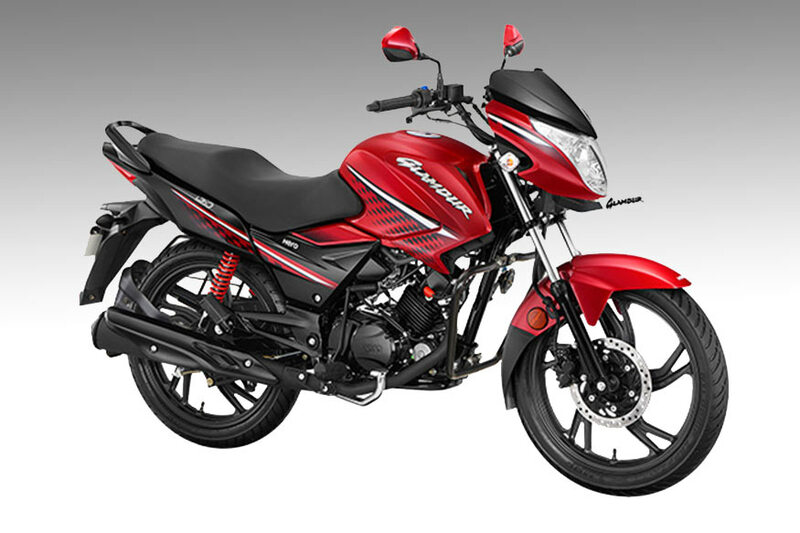 Hero Splendor iSmart 110 – Hero Splendor iSmart 110 is the 110cc Commuter bike from the Hero MotoCorp. The new Splendor iSmart 110 is based on a new platform and engine. The bikini fairing, curvy fuel tank and the simple tail section give the motorcycle a simple yet refreshingly new look. The bike is powered by a 109.15cc, air cooled, 4-stroke, single cylinder OHC engine that churns out maximum power of 8.97 Bhp at 7500 rpm and maximum torque of 9 Nm at 5500 rpm but the new thing about the bike is its iSmart technology which automatically shuts the engine when idling and turns it on when needed as this helps in improving the mileage . It is the feature of the bike which most of the Indians are looking in the bike. The Splendor iSmart features a new technology that has been developed by the company in-house called the i3S. Hero HF Deluxe – It is among the best selling 100cc bikes in India due to its price and features offered on it. The HF Deluxe comes with a 97.2 cc air cooled four-stroke single-cylinder OHC engine that produces 8.2 Bhp of power at 8000 rpm and 8.05 Nm of torque at 5000 rpm. The most attractive feature of the bike is its look as does not give away the feel of an entry level bike as it comes with a multi focal led headlamp and 3D graphics on the tank. The company claims that the bike gives a fuel efficiency of 65-75 kmpl. The updates on the Hero HF Deluxe model and also include a side stand indicator and clear lens turn indicators. Hero Glamour i3s – Hero lunched the stylish new Hero Glamour 2017 with i3s technology. The new bike come with 'i3s' technology, which is Hero's patented start/stop tech to maximise fuel economy. The new 125cc Glamour features a sporty styling with a sharply chiselled body, robust tank shrouds, and aerodynamic sidelines. The front fascia of the commuter is complemented with its stylish headlamps that now come updated with AHO (Auto Headlamp On) feature. Hero Glamour i3s is powered by a 125cc single cylinder petrol engine producing 11.5 Bhp at 7500 rpm of power and 11 Nm at 6500 rpm of torque. The engine is mated to a four-speed gearbox. The new Glamour i3s has only carburettion. The bike offers an optional 240mm front disc brake variant other than the standard variant with 130mm front and rear drum brake units. 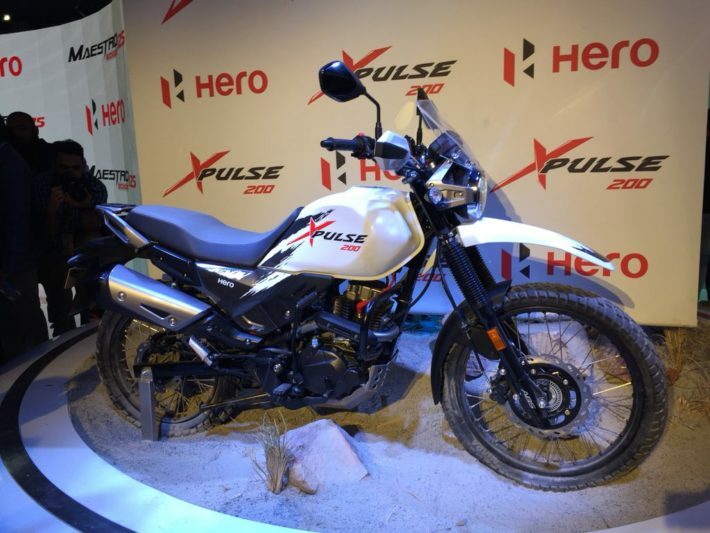 Hero Xpulse 200 (Upcoming) – Hero MotoCorp has unveiled the new Xpulse 200 adventure bike at Auto Expo 2018 in India. 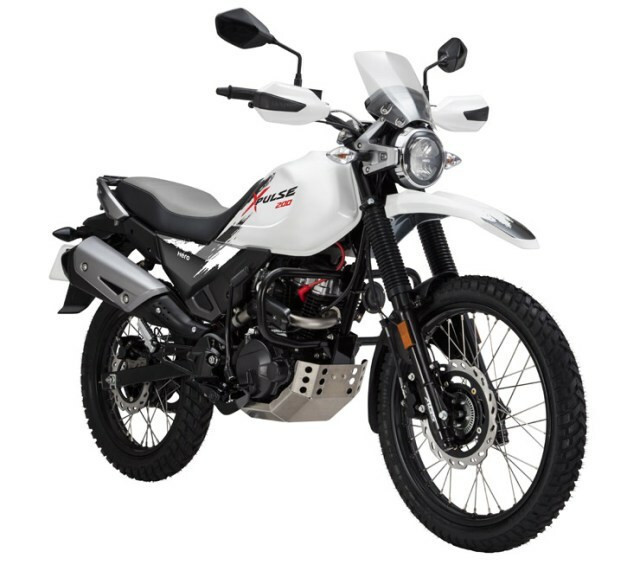 Hero Xpulse 200 India’s first 200cc adventure motorcycle in Hero lineup. The Xpulse is a dual-purpose bike with advanced technology for the thrill-seeking young riders in the country. The bike is powered by a 199.5 cc single-cylinder, fuel-injected engine that produce 18.1 Bhp at 8000 rpm and 17.1 Nm at 6000 rpm. The engine is paired to a 5-speed gearbox. Hero Xpulse also gets first-in-segment Turn-By-Turn Navigation system which will be extremely useful for touring. The new Xpulse is a highly awaited model and will be re-opening the two-wheeler maker’s innings in the segment. When launched in India, the Hero Xpulse will be the most affordable adventure bike in the country. Hero Xtreme 200R (Upcoming) – Hero has unveiled its new bike Xtreme 200R naked street bike in India. The new 200cc naked Xtreme bike has been designed and developed in-house by Hero MotoCorp. The new Xtreme 200R features a 200cc engine and optional single-channel ABS. The new Xtreme 200R is powered by a 199.6cc, air-cooled engine that produces 18.4 hp at 8000 rpm and 17.1 Nm of torque at 6500 rpm. The engine is mated to a five-speed gearbox. The Xtreme 200R gets LED positioning lamps and an LED tail lamp. The braking is handled by a 276 mm disc up front and a 220 mm disc brake at the rear. Hero will be offering a single-channel ABS as an option as well. This is also the first time that Hero is offering radial tyres on one of its bikes. 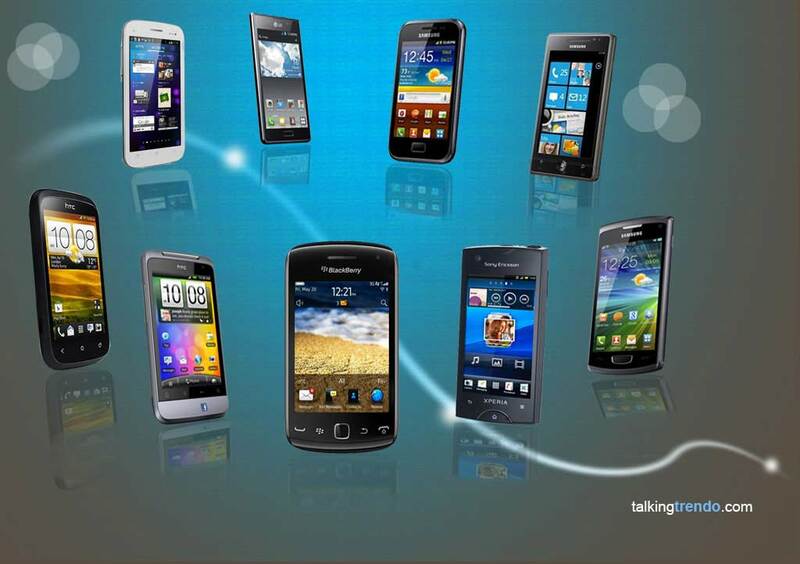 Hero HF Deluxe i3s – The Hero HF Deluxe is another successful from Hero. 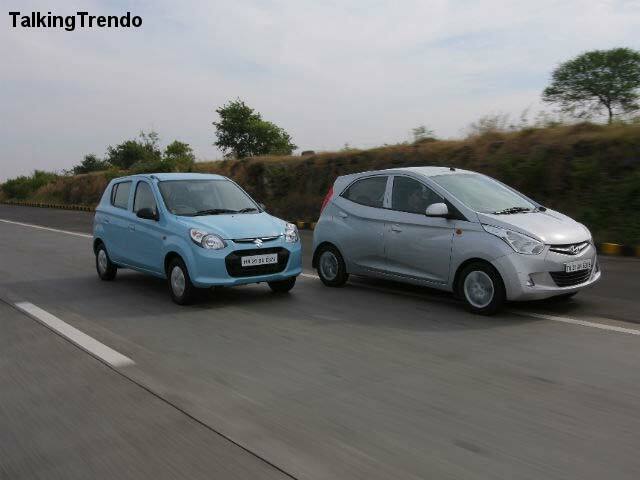 The new HF Deluxe i3s come with modern features Hero’s i3s iSmart start-stop technology. The bike come with Halogen headlamps, aerodynamic side panel, 5-spoke alloy wheels and chrome-plated muffler protection. The HF Deluxe i3s is a well-refined 97.2cc 4-stroke single cylinder, air-cooled engine. This engine unit produces 8.20 Bhp worth of maximum power at 8000 rpm and a peak torque of 8.05 Nm at 5000 rpm. The engine is mated to a four-speed gearbox. 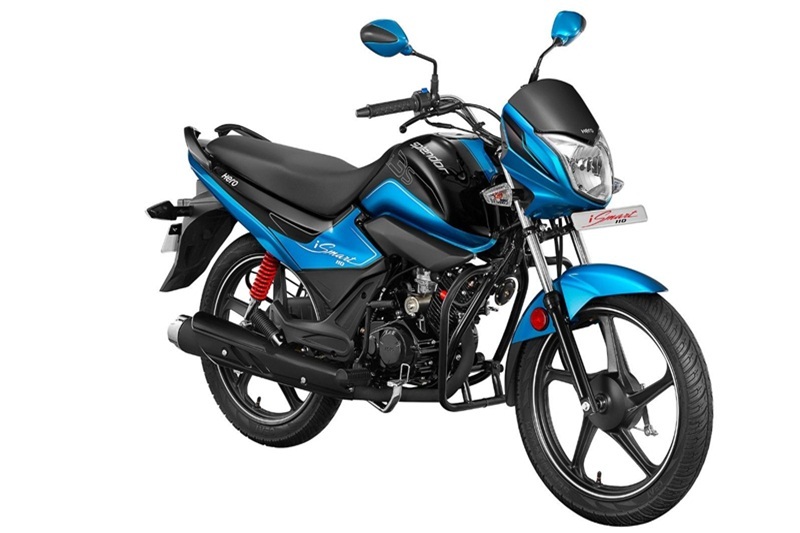 The 100cc commuter also scores high convenience points owing to the self-start option, flush type fuel cap, maintenance free battery, and utility storage. Hero Karizma ZMR (Discontinued) – Hero Karizma ZMR is the fully-faired bike from Hero MotoCorp. 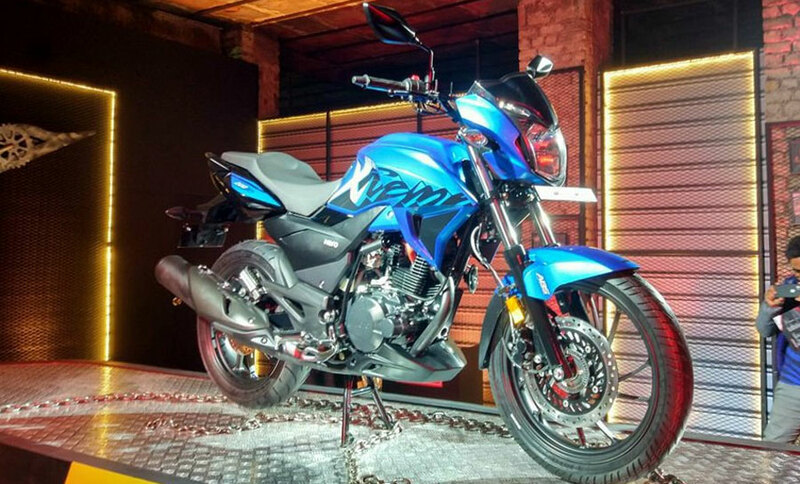 This bike is a part of Hero’s new range and gets a relatively new design as compared to the outgoing model. The faring has been raised and the graphics have been revised but overall the design remains as the familiar Karizma silhouette. The bike is powered by a 223cc, air cooled, 4-stroke, single cylinder, oil cooler, OHC engine with that churns out maximum power of 20 Bhp at 8000 rpm and maximum torque of 19.7 Nm at 6500 rpm. The engine is mated to a five-speed gearbox. The bike come with bright twin headlights with day-time running lights, a full sporty cowling, new nicely positioned handle bar, macho looking front fender, new cover for muffler, restyled fairing, bulb winkers and sporty seating. 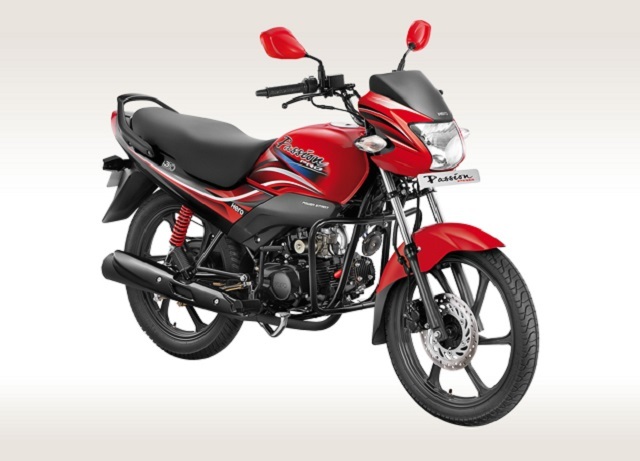 Hero Super Splenor  – Hero Super Splendor is the powerful version from famous Splendor lineup of motorcycles from Hero Motocorp. Hero Motocorp has launched the 2018 version of the Super Splendor in India. The bike is powered by a new 124.70cc 4-stroke single cylinder OHC engine that producing 10.90 Bhp at 7500 rpm and 11 Nm at 6500 rpm. The new bike also gets the four-speed gearbox and the i3s Start/Stop system. The bike gets a slightly revised bodywork, although retaining the conservative design language of the previous model. It also gets new graphics, a wider, more upswept seat and an LED tail lamp. The 2018 Super Splendor is equipped with the All Time Headlamp On (AHO) feature along with a side-stand indicator that reflects on the three-pod analogue instrument console. Hero Splendor Pro – Hero MotoCorp lunched the upgraded versions Splendor Pro in India. It was first launched in 2010 is it among many splendor variants bike. Bike is slightly different from other splendors version in terms of its stylish looking instrument console, it has electric start and have alloys in it. ts carries its very own identity and carries a different body design, front cowl and fuel tank design. Splendor pro is powered by a 97.2 cc, air cooled, 4-stroke, single cylinder OHC engine that churns out 8.2 Bhp at 8000 rpm and peak torque of 8.05 Nm at 5000 rpm. Hero Splendor Pro is a high-end fuel efficient commuter bikes at an affordable price tag. 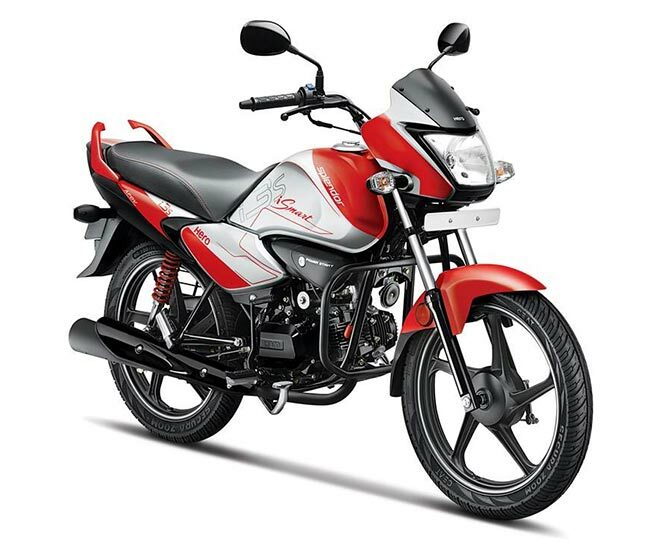 Hero Hunk (Discontinued) – Hero Hunk is a 150cc commuter sport bike from Hero MotoCorp. Hunk is a broad mean looking bike from Hero which was first launched in 2007 and in 2011 it gt minor upgrades on visor, digital console, new styling for side panels, body colored mirrors, tubeless tyres, LED tail lamps, an exhaust cover and darker colored grab rails. The bike is powered by a 149.2cc, air cooled, 4-stroke, single cylinder OHC engine that churns out maximum power of 15.6 Bhp at 8500 rpm and maximum torque of 13.50 Nm at 7000 rpm. The engine is mated to a five-speed gearbox. Hero MotoCorp gave the Hunk a minor update, making it available it with the option of a rear disc brake. 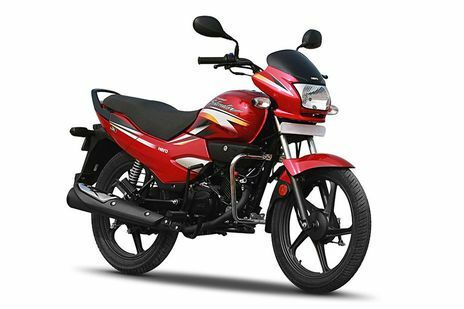 Hero HF Dawn  – Hero MotoCorp has relaunched the Hero HF Dawn bike in India. The company has relaunched the 100cc commuter bike HF Dawn with a new engine and couple of new features to meet the government regulations. The bike gets a new engine and Auto Headlight On (AHO) amongst other cosmetic upgrades. The new HF Dawn features the same but refreshed 4-stroke air-cooled single-cylinder 97.2cc OHC engine. The new engine produces 8.36 PS of power at 8,000 rpm and 8.05 Nm of torque at 5,0000 rpm. The engine is mated to a 4-speed transmission. The 2018 model features blacked out tail section, suspension, powertrain and headlight nacelle. The drum brake, rims, engine guard and the chain cover have been blacked out as well. Hero Glamour FI – Hero Glamour FI is a stylish 125cc commuter bike from Hero MotoCorp. Hero Glamour is the best looking product in the Hero MotoCorp’s 125cc portfolio. The manufacturer configured it with two fuel system i.e. carbureted and fuel injection. Hero Glamour is also proudly holds the name for India’s first fuel injected motorcycle. The bike is powered by a 124.7 cc, air cooled, 4-stroke, single cylinder OHC engine that churns out 9 Bhp at 7000 rpm and peak torque of 10.35 Nm at 4000 rpm. The engine is mated to a four-speed gearbox. The new Glamour FI features a sporty styling with a sharply chiselled body, robust tank shrouds, and aerodynamic sidelines. The front fascia of the commuter is complemented with its stylish headlamps that now come updated with AHO (Auto Headlamp On) feature. 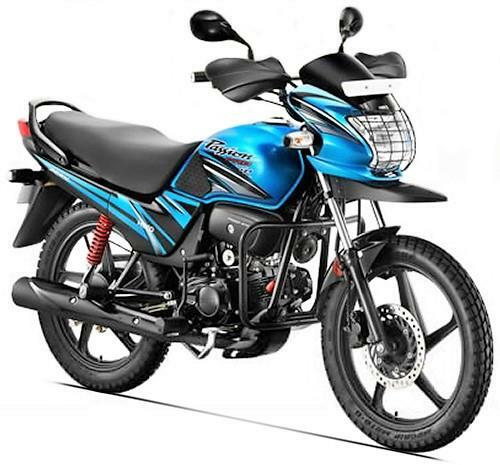 Hero Xtreme (Discontinued) – Hero Xtreme is the most popular 150cc bike from Hero MotoCorp. Hero MotoCorp got its major update in Xtreme. The refreshed bike now comes with an all new design with some unique features like 'highbrow' LED DRLs. The new bike come with one of the most appreciated addition to the bike is its space age styled digital analog cluster. The bike is powered by a 149.2cc, air-cooled, 4-stroke, single cylinder, OHC engine that churns out 15.6 Bhp at 8500 rpm and peak torque of 13.50 Nm at 7000 rpm. The engine is mated to a five-speed gearbox. Hero Xtreme is a premium 150cc commuter motorcycle, targeted at young customers looking for a stylish yet efficient motorcycle for their daily commute. Hero Splendor Plus – Splendor is among the oldest bike was first launched in 1994 at that point of time it was seen as succesor to CD Dawn. Splendor is one of the oldest commuter bikes sold in India and continues to clock over a million units a year. 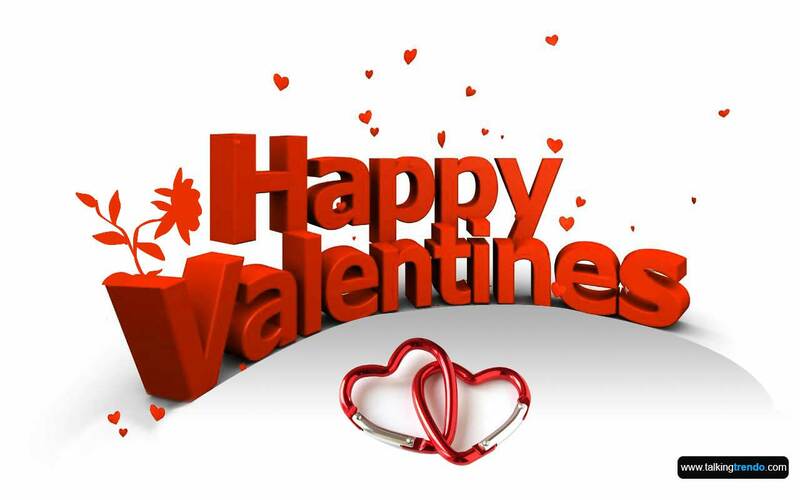 The Splendor is available in many different avatars, one of which is the Splendor Plus. It runs on the same 97.2 cc engine which is available on other 100cc bikes from Hero. This engine produces 8.2 Bhp of power at 8000 rpm and 8.05 Nm of torque at 5000 rpm. The bike is also offered with optional alloy wheels, and a stylish instrument console. Hero Splendor Plus is a high-end fuel efficient commuter bikes at an affordable price tag. Hero Splendor Pro Classic (Discontinued) – Hero wanted to try something new with biggest two wheeler commuter in India Splendor so they launched a Splendor Pro Classic which is designed as a typical cafe racer bike. The bike has got a new clip-ons, a round headlamp and tail lamp. The rear-view mirrors, headlamp ring, instrument cluster rings, front and rear fenders, suspension and chrome is also used to improves its aesthetics. The bike uses the same dependable 97.2 cc, air cooled, 4-stroke, single cylinder OHC engine that churns out maximum power of 8.2 Bhp at 7500 rpm and maximum torque of 8.05 Nm at 5000 rpm. Hero hasn’t offered a pillion seat on the Splendor Pro Classic, even as an optional extra, which might be a deal breaker for some customers. 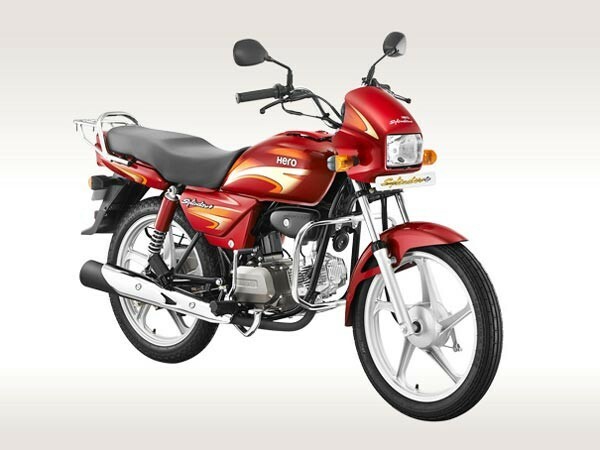 Hero Achiever 150 – Hero launched its 150cc bike Achiever in 2006. In 2016 Hero MotoCorp recently launched the Achiever with a thoroughly revised engine and updated technology to give it a fresh lease of life. The bike is powered by a 149.1cc, air-cooled, 4-stroke, single cylinder, OHC engine that churns out power of 13.4 Bhp at 8000 rpm and peak torque of 12.80 Nm at 5000 rpm. The engine is mated to a five-speed gearbox. 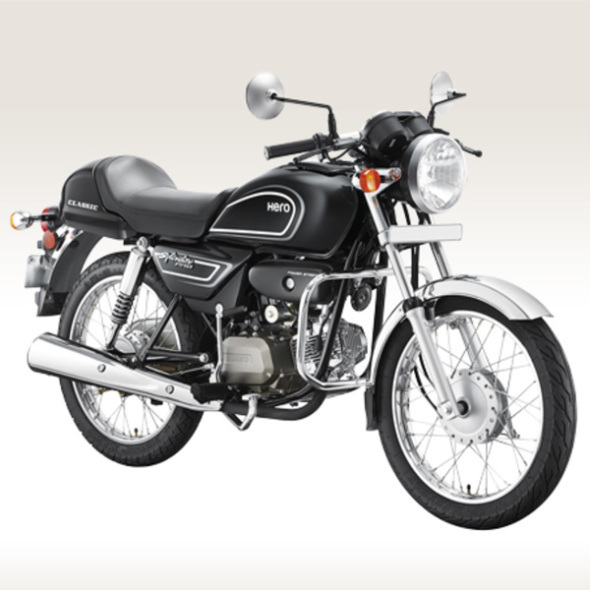 The Hero Achiever gets a very basic and conservative styling, to appeal to urban and rural customers. 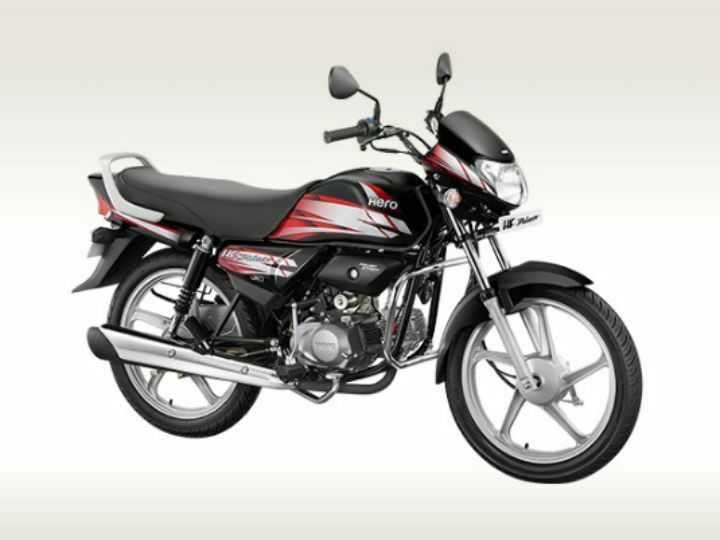 The Hero Achiever is one of the most affordable 150cc commuter bike sold in India. Hero Passion X Pro  – Hero MotoCorp has lunched the new 2018 Passion X Pro in India. Hero has updated its Passion range of motorcycles with the modern engines. The new bike get Auto Headlamp On (AHO), a digital-analogue instrument console with a digital fuel gauge and side-stand indicator, odometer, speedometer and more. The new bike is powered by a 109.1 cc, air cooled, 4-stroke, single cylinder OHC engine that generate 9.4 Bhp of power and 9 Nm of torque. The engine is mated to a four-speed gearbox. The company claims it offer 12 per cent more power and torque compared to the previous Passion X Pro. The new Passion XPro also get the company's i3S start-stop system that is intended to improve the fuel efficiency on the commuter offerings. The 110cc engine of the bike produces enough power and fuel economy that works well for daily commutes. The bike is easy to ride and has been designed for comfortable and fatigue free ride experience. Hero Passion Pro TR (Discontinued) – Passion Pro TR is a one of a kind bike from Hero. They have tried to launch a bike for off roader enthusiasts by taking Passion Pro bike and adding features like off-road tyres, a headlamp grill, a bash plate for the engine, knuckle guards, a raised front fender with tyre huger and a new handlebar with cross brace. The Passion Pro TR is powered by the same 97.2cc, air cooled, 4-stroke, single cylinder OHC engine that churns out maximum power of 8.2 Bhp at 8000 rpm and maximum torque of 8.05 Nm at 5000 rpm. These kinds of off-beat motorcycles usually attract the enthusiasts, though Hero MotoCorp has targeted completely different type of customers with the Passion Pro TR. Hero Ignitor (Discontinued) – Hero Ignitor is the entry level sport commuter bike from Hero. Hero Ignitor was launched in year 2012. Hero MotoCorp designed the Hero ignitor just after their separation from Honda. The bike is quite similar in looks to Hero’s own Stunner. Ingitor is slightly different from Stunner is in looks front cowl new graphics and body-coloured rear-view mirror set and body panels. The bike is powered by a 124.7cc, air-cooled, 4-stroke, single cylinder, OHC engine that churns out power of 10.9 Bhp at 8000 rpm and peak torque of 11 Nm at 5000 rpm. The bike uses ATFT (Advanced Tumble Flow Induction Technology) engine. Hero Splendor iSmart (Discontinued) – Splendor iSmart was first showcased in 2014 the bike uses the same old engine which is available on other Hero Splendor bikes a 97.2 cc, air cooled, 4-stroke, single cylinder OHC engine that churns out maximum power of 8.05 Bhp at 8000 rpm and maximum torque of 8.05 Nm at 5000 rpm but the new thing about the bike is its ismart technology which automatically shuts the engine when idling and turns it on when needed as this helps in improving the mileage . It is the feature of the bike which most of the Indians are looking in the bike. The Splendor iSmart features a new technology that has been developed by the company in-house called the i3S. Hero Karizma R (Discontinued) – Karizma R in its old times has been one of the best bike available in the market with its advanced technology and a very reliable engine. Karizma R is the One of the first semi-faired bikes in the country, the Karizma has been a popular bike since it was first launched in 2003. Hero MotoCorp launched its popular performance motorcycle Karizma in a completely new avatar in June 2014. The bike is powered by a 223 cc, Air cooled, 4-Stroke, OHC, single cylinder engine that churns out 19.2 Bhp at 7500 rpm and peak torque of 19.35 Nm at 6000 rpm. The engine is mated to a five-speed gearbox. The latest version Karizma R come with practical design and advanced equipments with few cosmetic updates. Hero Impulse (Discontinued) – Hero Impulse is a multi-purpose motorcycle from Hero MotoCorp. 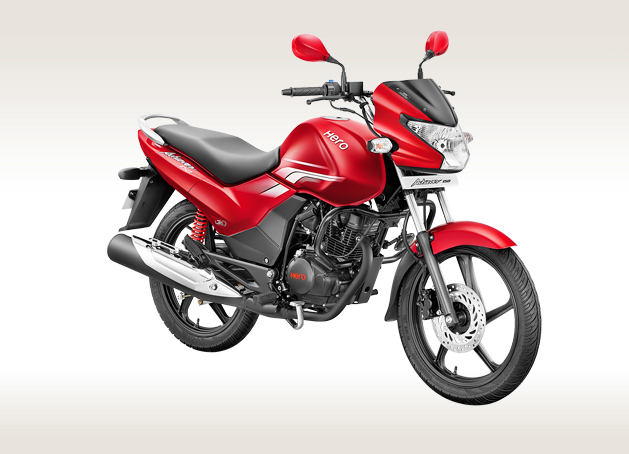 Hero MotoCorp introduced the Impulse in late 2008 and it was the first affordable dual sport to be available in the Indian market. The bike is powered by a 149.2cc, air-cooled, 4-stroke, single cylinder, OHC engine that churns out 13 Bhp at 7500 rpm and peak torque of 13.4 Nm at 5000 rpm. The engine is mated to a five-speed gearbox. The upright seating position and high front mud guard all contribute to the butch appearance of the bike. This bike is Hero’s and India’s first ever on and off road bike. Impulse is expected to give rise to a whole new category of bikes in India.